You'll be £10.39 closer to your next £10.00 credit when you purchase Ypres 1914: The Menin Road. What's this? The most direct route to Ypres for the advancing German columns in October 1914 was along the axis of the Menin Road. It was here that the Old Contemptibles of the BEF earned their legendary heroic status as they fought off increasingly desperate German assaults day after day, whilst place names such as Zandvoorde, Polygon Wood and Gheluvelt were first etched into the British national consciousness. Bent and battered by the German storm, dressed in rags and short of food, equipment and ammunition, the regiments of the old professional army stood their ground against huge odds. When, on 11th November, they finally halted the Prussian Guards around Polygon Wood, virtually within sight of Ypres, they were reduced to one thin firing line. The BEF was at its last gasp, but it had inflicted a crushing defeat on the German army. Like other books in the series, this edition provides an extremely well written and illustrated overview of an important element of battle on the Western Front. All Battles of the Great War were important, but perhaps none so that what happened along the Menin Road in 1914. The battle was important in so far as it represented the end of open warfare on the Western Front. 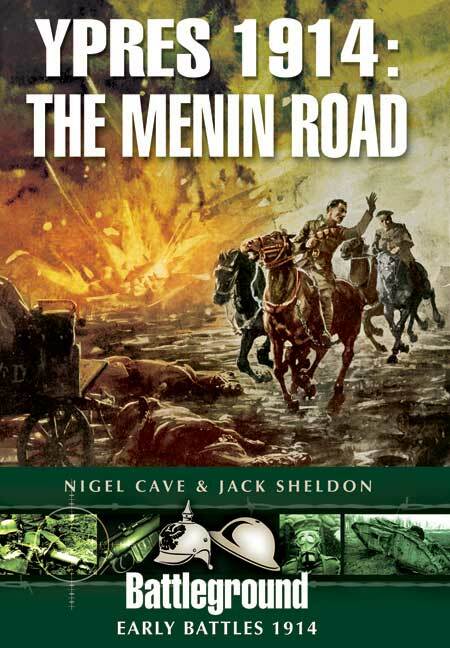 The authors are two of the best known authorities of the battlefields and in this work provide a wonderful picture of the events as they unfolded on the Menin Road near Ypres in the autumn to winter months of 1914. A text that I think can not be missing in the libraries of those who want to know in detail the first decisive battles that have shaped then the way of fighting the Great War. Taken together, the Ypres 1914 trilogy provide an excellent account of the campaign, as well as a substantial guide for those wanting to follow in the footsteps of these events. The authors have provided a great deal of information on the fighting and the senior commanders involved. Much of this will be new information even for some enthusiasts who started their studies at the trench war and missed the critical opening battles. Onto this information is laid the information to help those going today to visit the sites of the old battlefields. An excellent guide for those who like to control their own visits/tours.